Khao soi loosely translated means “sliced rice”, named for the way in which these noodles are traditionally made, large sheets of steamed rice flour dough cut with scissors. In some parts of northern Laos where the soup originated, market vendors will still hand cut your noodles right before serving. Because of this technique, khao soi noodles tend to be wider - think fettucine or papardelle (we didn’t have any wide sheet noodles so we used pho noodles here, but you can always substitute by cutting fresh folded ho fun sold in bags). Khao soi noodle comes to us by way of the Burmese, who use curry and coconut milk for their stock, much like the Chiang Mai version. Laotian khao soi, on the other hand, is served in a clear broth that’s topped with a thick savory tomato sauce, a fermented-bean-ground-pork ragu if you will - and it packs a punch, start with a few spoonfuls before mixing it up, or just leave it to dissolve into your soup. For crunch you can add a little khao khope (fried sticky rice cakes), also a northern Laos treat. 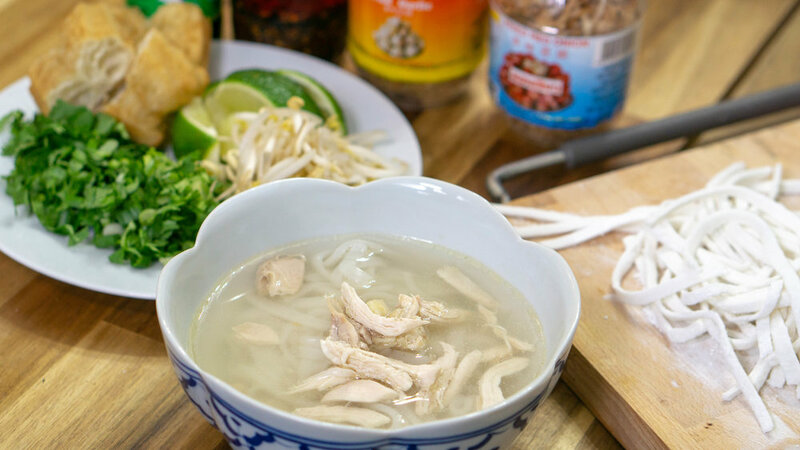 More than just a bowl of chicken noodle soup, if someone makes you khao piek sen, it means they care. Translated as “wet rice strands” these noodles can only be made fresh from a dough of hot water, rice flour and tapioca starch. Whether cut by hand or with a pasta machine, the noodles are identical in size to Japanese udon. Khao piek sen can be cooked in broth, giving it a thicker consistency, or pre-boiled separately in water right before serving in its soup. The tapioca starch makes them slippery, so a fork or chopsticks will help you slurp them up, but if the noodles are short, a soup spoon is all you need. 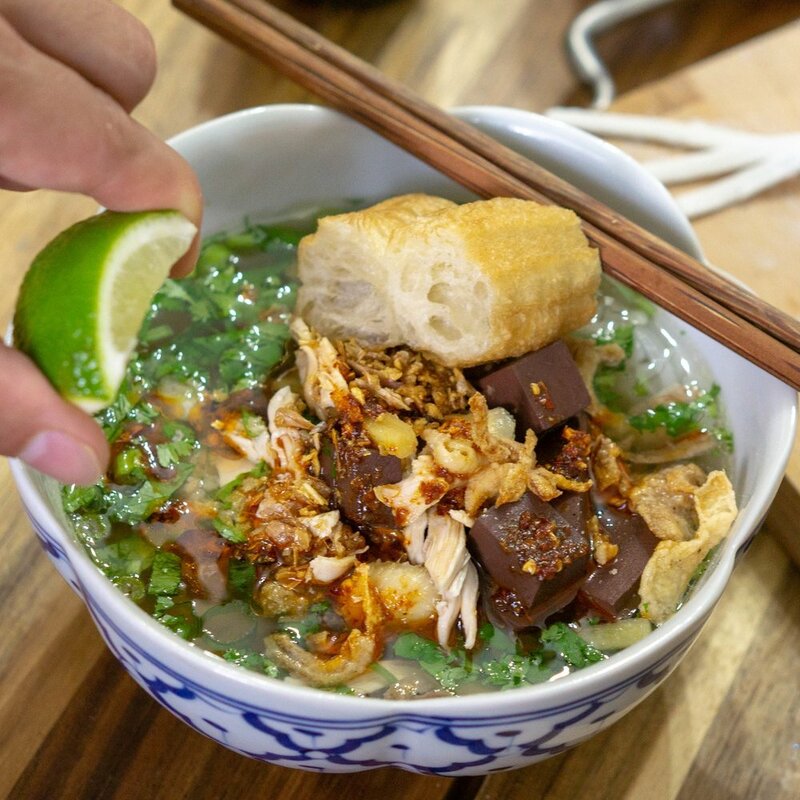 There’s no pre-made substitute for khao piek sen and it’s hard to keep the noodles fresh for long, so anytime it’s being made, a gathering of people will happen to help finish off these deliciously chewy noodles. Maybe that’s why it’s considered one of the most comforting soups in Laotian cuisine. Just stay away from too much chili oil.